In September 2015 our company was rewarded again by European CEO Awards. 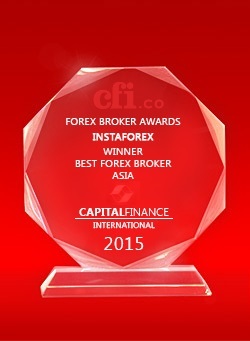 This time we got Best Forex Broker 2015 award. European CEO Awards is established by famous British business magazine European CEO. We get this award for the third time. 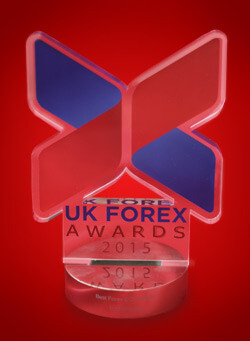 We've already been twice awarded in Best Retail Forex Broker nomination before � in 2011 and 2013. Best Forex Broker 2015 award proves again the progressive development of our company and shows its leading positions on Forex market. Yet another year of our company`s successful work comes to an end but surprises and gifts are still not over. Our achievements piggy bank has been replenished with the new award from popular British edition Global Brands Magazine - we took the Most Innovative Forex Brand in Asia 2015 by GBM Awards nomination. Our company`s modern developments in trading allowed us to fight for being called the best in this sphere. New products of 2015 - InstaForex MobileTrader, WebTrader and InstaCredit were the most demand among traders in Asia and other regions. This award approves not only our leadership in modern trading development but also proves our devotion to clients, for which we`re doing this. In autumn 2015, our company gathered an abundant harvest of awards. 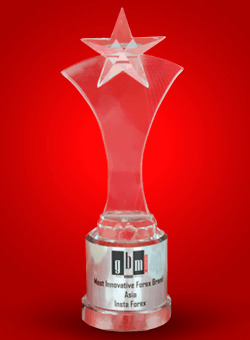 InstaForex was presented with a new trophy at the high-profile ceremony, IAIR Awards. Prestigious awards were established by reputable Italian business magazine IAIR. 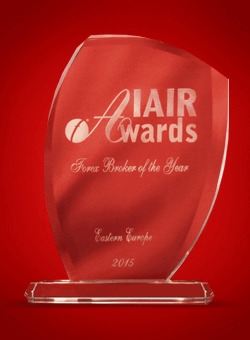 Our company became the titleholder in the nomination Best Forex Broker Eastern Europe 2015. InstaForex has received the highest honor from IAIR at the fourth annual ceremony. It is irrefutable proof that plenty of European partners and clients have appreciated our sheer advantages. On September 16, 2015, UK Forex Awards held the grand event where the best brokerage companies gained their recognition. This year, the companies� performance was judged by noted traders and private investors. 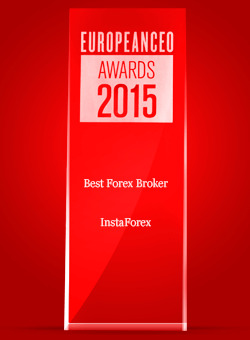 Our company again was honored in the category Best Forex ECN Broker 2015. The prestigious trophy from UK Forex Awards proves once again that InstaForex has achieved fair technological leadership providing its clients with premium services and products, versatile tools for market analysis, innovative educational programs, and first class customer support. The international exhibition ShowFx Asia took place in Singapore on August 29, 2015. 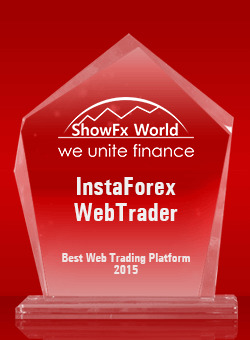 At the conference, InstaForex Web Trader was presented with the Best Web Trading Platform 2015 award. The fact that the broker won such a top-level prize reveals that InstaForex is far from complacent continuously developing its services that prove the highest sufficiency of the company�s work over the years. In late summer of 2015, InstaForex participated in the international ShowFx Asia 2015 conference, which was held in Singapore, where our mobile application InstaForex Mobile Trader was given the Best Forex Mobile Application 2015 award. Such an honorary prize proves that InstaForex keeps up with the times offering its clients the most advanced software products and solutions. That is the way we�ve justified the trust of traders from all over the world over the years. International Finance Awards is an annual international award program. It was created with a mission to identify and reward companies which largely succeed in the financial market contributing significantly to the development of industry and fostering innovations in corporate social responsibility. In June 2015, International Finance Magazine, an online news resource reporting on business, gave our company the Best ECN Broker 2015 award, which is assumed to be among the most prestigious prizes in the financial world. This is not the first time InstaForex wins the top-level prize, which proves that the company follows the best course of development offering its clients the most efficient trading conditions. CFI is an established online news resource reporting on business, economics and finance. CFI provides readers with breaking news, experts� analysis, and commentary on the markets worldwide. The journal is headquartered in London, Great Britain. In addition to news coverage broadening, the magazine created its own Awards Program. CFI awards are assumed to be among the most prestigious prizes in the financial world of today. Throughout the program, the expert jury evaluates the work of different financial companies. 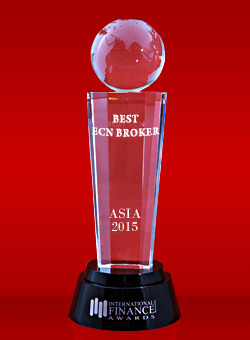 In the spring of 2015, our company was presented the Best Broker Asia 2015 Award. Giving us such a great prize, experts recognized that we have everything to offer our clients high-quality Forex trading services and products. The fact that our company won such a top-level award reveals that we are far from complacent continuously developing our services that prove the highest sufficiency of the company�s work over the years. 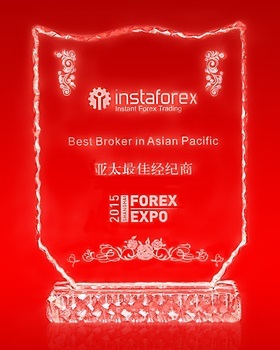 At Shanghai Forex Expo 2015, InstaForex was honored in the category of The Best Broker in Asian Pacific 2015. One more trophy in the collection of well-deserved awards proves that InstaForex is a reliable partner for thousands of clients from Asian countries. The fair victory at Shanghai 2015 Forex Expo confirms once again that InstaForex is still winning favor with traders in the fiercely competitive market.